Erica Bunker | DIY Style! The Art of Cultivating a Stylish Wardrobe: Mini-Wardrobe Contest! 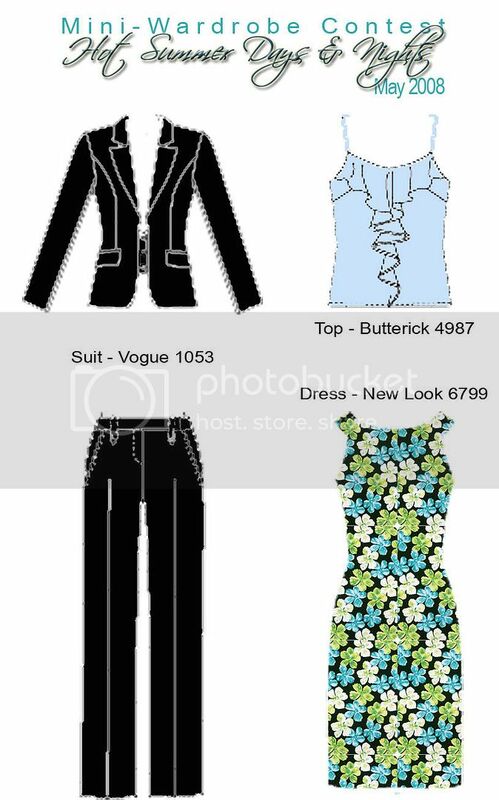 3) 1 bottom, 1 dress or jumper (overdress), and 2 tops - 1 may be a jacket. If a jumper is made, it should go with both tops (i.e., function as a bottom). If the dress option is chosen, it need not be worn with the other garments in the wardrobe, however it should tie to the rest of the wardrobe in theme and possibly be compatible with the same handbag or shoes or accessories. All pieces must coordinate with each other. I've decided to go with Option #3. With only 2 weeks left, it's doubtful that I will finish on time, but I will finish!